RADIOFREQUENCY (RF) this treatment, radio waves penetrate the patient’s outer skin layers, delivering heat energy to the muscles and tissue beneath. This heat stimulates collagen production and that, in turn, triggers tissue contraction. 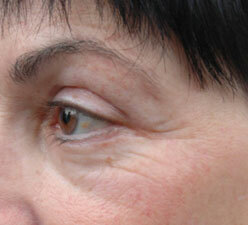 The overall result is tighter, brighter skin and a significant reduction in sags and wrinkles. That is why this treatment is often referred to as a “Radio frequency Face lift”. will make the benefits of Radio Frequency last longer and help with other skin abnormalities. LED Photo-modulation can renew the elasticity and healthy appearance of skin which has been damaged from exposure to the elements. This treatment uses the energy from light emitting diodes to repair skin damage and to prevent damaging enzymes from eating away at the collagen which supports the structure of the skin. Patients actually enjoy a 20 minute pain-free light treatment, and many begin to see changes in their skin after just a one treatments. For most patients, these improvements continue for weeks, even after they are no longer undergoing LED Photo-modulation. If you have been searching for a skin rejuvenation process that has FDA approval for safety and has no side effects, LED Photo modulation may be the solution to your problems. How does LED Photo modulation work? The LED energy first stimulates the cells to regenerate at a faster rate, leading to a greater supply of collagen and elastin. This tightens the skin pores and gives a stronger support system. At the same time, the LED Photo modulation controls enzymes in the body which are known to break down, over time, the collagen being produced. 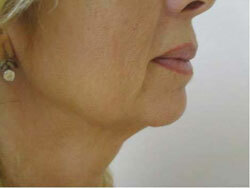 ​This protocol is completely non-invasive and painless, with no recovery time. The treatments take 30-40 minutes, and patients can return to normal activities immediately with no side effects other than some redness that resolves quickly. The use of pulsed magnetic fields delivers uniform heating at multiple depths to dissolve fat and cellulite while stimulating circulation, lymphatic drainage, and collagen production. It is a formula that restores skin elasticity to smooth away face and neck wrinkles and eliminate the “flabby” appearance of targeted body areas. Patients can expect to see immediate results that improve with every treatment. How does RF energy work? RF is completely non-invasive. The technology works by heating up the skin, and particularly the deeper dermis layer, using a rolling probe emitting RF waves. This energy stimulates collagen production, which triggers ongoing lifting and skin remodeling to tighten skin as the energy shrinks fat cells by causing them to extrude their fatty acids. RF is ideal for the face, chin line, slack jaw-line and full body, including the abdomen, saddle bags, thighs, upper arms, and hips. It has FDA-approval for the eye-lids as well. Typically, the treatment protocol calls for 6-10 sessions. Your practitioner will advise you regarding how many treatments would be best to achieve your desired results. The higher number of treatments is called for when cellulite is particularly deep or skin laxity very severe, which is usually the case in older patients. There is no downtime. This treatment is non-invasive, involving no surgery, no injections, and no recovery time. You may experience some redness after the treatment, but it should resolve within 1-2 hours. You’ll start seeing results immediately.